Our third and final Green Army project has come to the end. We recently celebrated the graduation of the participants at a BBQ at ‘Hillcroft’ in Gobur and thanked the team for all their hard work over the past six months. 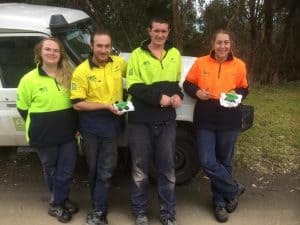 This team did a great job and from the commencement in March they controlled 35.5ha of woody weeds, built 1.4km of fencing, installed and inspected 64 nesting boxes and planted a whopping 5250 plants. 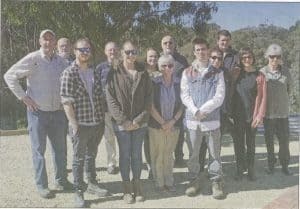 Other activities the team participated in included using remote sensor cameras for fox monitoring and wildlife surveys then analysing and recording the data collected. 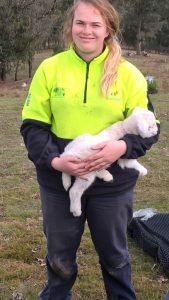 They also learnt the techniques for fox trapping using soft-jaw traps and about the practical application of a fox baiting program. Took part in a survey with bat expert Rob Gration at a local mine for the threatened Eastern Horseshoe Bat. We recorded at least 38 of the rare bats; and attended the GBCMA native fish survey along the King Parrot Creek. 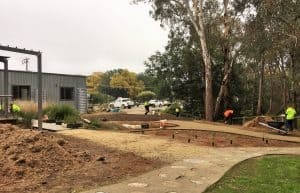 The team also learnt about the local Aboriginal culture from Taungurung man Shane Monk whilst creating a indigenous bush tucker garden at the Y-Water Centre. 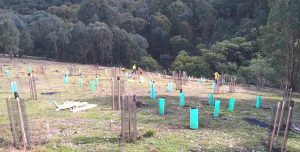 Over the past two years our three Green Army projects have been a very valuable resource for the UGLN, our landcare groups and their members and have achieved a lot of great work. Many of the participants have also gone on to permanent employment in the field of conservation and agriculture or other full time work. 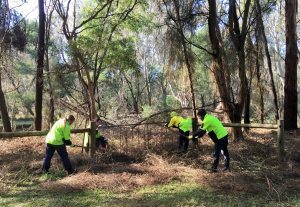 Some of the jobs our past participants have been employed as since the Green Army include: two as DELWP Project Firefighters, one as a Park Ranger with ParksVic, two have worked with private Bushland Management contractors, two as farm and abattoir workers and one as a landscape gardener. Other employment past team members have gone onto are as an Apprentice Motor Mechanic, an Accountants secretary and a security guard. 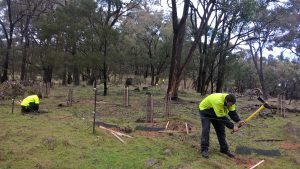 The three projects would not have been possible without the wonderful support we have received from the Murrindindi Shire and the GBCMA. Congratulations Green Army team and thanks for your help at the Y Water Centre garden!